Can a brand build numbers? Are you feeling some lackluster attendance at your events? If so, consider your image. By investing in a strong brand, you can potentially increase your event’s ability to stand out in the minds of key decision makers – and potentially drive attendance. Mary Hendrickx, Conference Manager at Refrigerating Engineers & Technicians Association (RETA), shared some insightful news – “We started with no brand within our industry and now have a recognizable presence that has shown (conservatively) a more than 30% increase in participation in 2016 alone!” A higher perceived value to your audience can help drive people to your conferences and other events. In 2016, Conference Creative developed a brand presence for RETA that resulted in at least a 30% increase in attendance at that year’s annual conference in Las Vegas. We continue to build the brand for 2017’s annual conference. 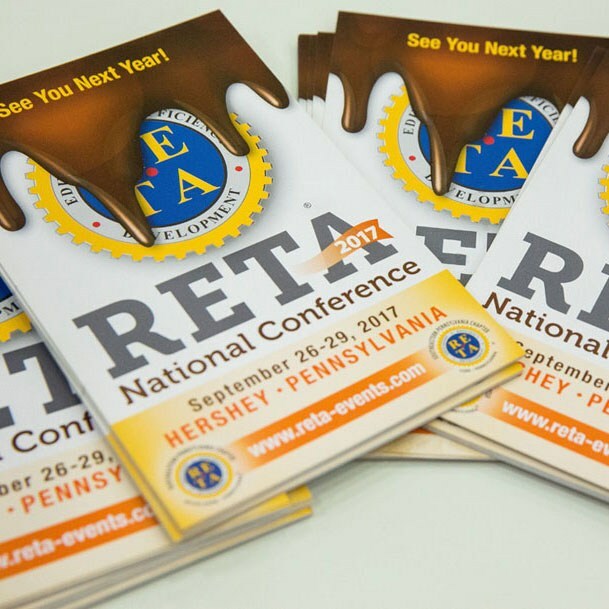 Through collaboration with Mary Hendrickx at RETA, we developed themed graphics that tie into the “sweet” location of Hershey, PA.